Easy, quick, cost effective - yet with a sofisticated touch! 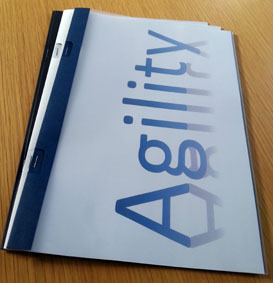 The Bindomatic AGILITY cover guarantees to improve the look and feel of any stapled document. 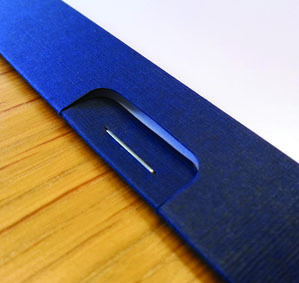 Simply load the paper set in the cover and staple on the die-cut tab, done! 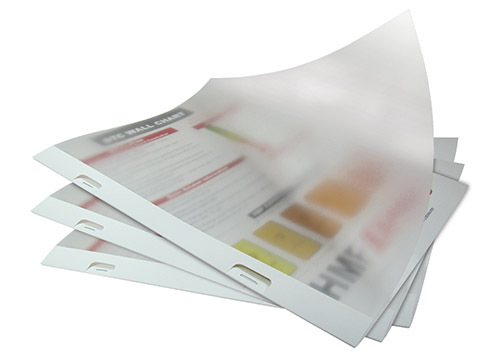 Bindomatic offer a complete range of finishing solutions to meet document binding needs anywhere. Home offices as well as large corporations and commercial printers will always find a partner in Bindomatic.